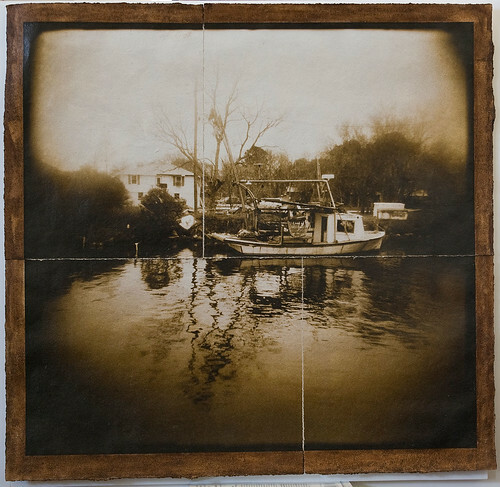 Yclosky, LA, G.Yerger: Artspace exhibit opens Fri, Feb 8, 5 - 8 pm, a photo by trudeau on Flickr. Reclusive New Orleans artists Leslie Addison and George Yerger spend much of their time trekking across Louisiana and neighboring regions in pursuit of the telling detail of life. Their Artspace Shreveport exhibit, "Southern Dialogues," offers romantic yet insightful images of life in the Deep South. They've demonstrated award-winning expertise in capturing images. Both have work in the permanent collections of The Ogden Museum of Southern Art, New Orleans, the High Museum, Atlanta, and the New Orleans Museum of Art. Repairing to their abode in Mid City, New Orleans, the pair intensify their images via paint, chemicals and other hand-wrought editing. 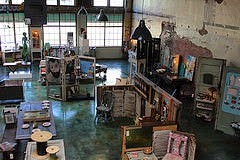 In addition to the exhibit, Artspace offers an artist talk on Thurs, Feb 7, 6 to 8 pm. "I have no idea what I'm going to say," admitted Addison in a recent phone call. " Talking about what we do is not my best quality. But we'll certainly answer questions." Recommended for their anti-razzle-dazzle attitude and entrancing images: Addison and Yerger at Artspace Shreveport. 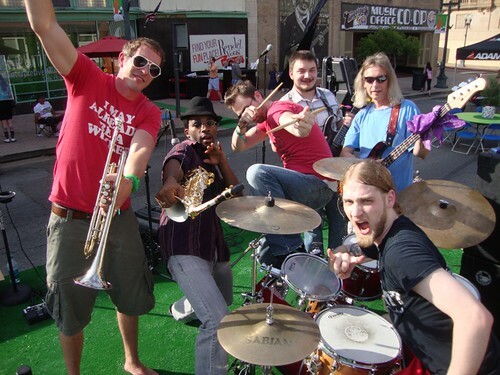 Stiff Necked Fools, Shreveport, a photo by trudeau on Flickr. "Mike Horn, Tiki bartender, suffered a bad fall, breaking his hip in two places requiring surgery and months of rehabilitation," says Blue Lee-Martin, "So to help out there will be a raffle, silent auction of art and goods and great food on Tues eve. Your $5 entry at the door gets you a raffle ticket!" Performances from Bon Temps Burlesque between the musical acts! How To Mardi Gras, 36 pages, 36 illustrations. The quick read and perfect guide for visitors, students, teachers, float riders and out-of-town friends. See Tubbs Cajun Gifts or email the publisher at trudeau11@gmail.com, a photo by trudeau on Flickr. 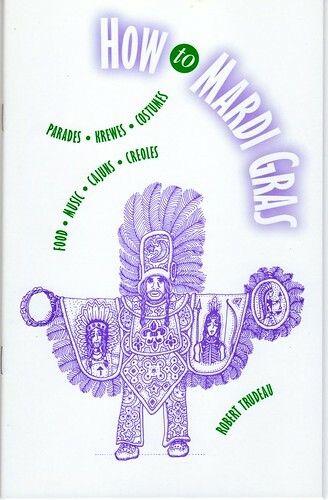 Purchase copies of Robert Trudeau's How To Mardi Gras at Tubbs Cajun Gifts, Benton Rd - and see a ton of cool Mardi Gras merch - or get copies by emailing the publisher at trudeau11@gmail.com. Some 5000 copies of HTMG in print, says Insty Prints. 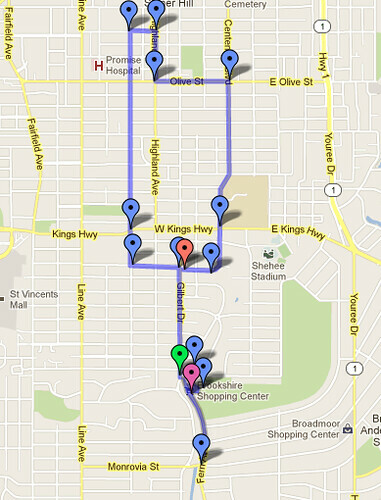 Krewe of Highland Parade: 2013 route / See Google maps for explanatory dots, a photo by trudeau on Flickr. This map shows the Official Route of the 2013 Krewe of Highland Parade, says Marion Marks. The official Start of the Parade is at 2PM at the corner of Gregg Street and Gilbert (Johnny's Pizza). The floats, and all participants will assemble along Fern Avenue south of the starting point. The parade will follow the route as shown on the map and return south along Centenary Blvd, which turns into Gladstone. The parade Ends at the corner of Gladstone and Gilbert. Route is some 3.9 miles. 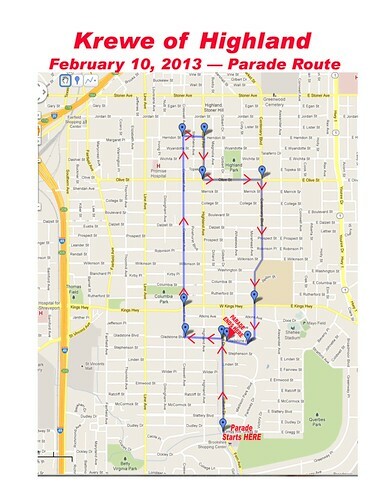 New, extended route for Krewe of Highland Parade on 2.10.13, a photo by trudeau on Flickr. "The Krewe of Highland 2013 parade will actually start on Gilbert at Gregg Street and head north and will turn left (West) on Gladstone to follow the usual route. Parade will end where Gladstone meets up again at Gilbert," says Emma McCarty. Staging ground for the floats will be Fern Ave.
"The people that will need to plan are those that normally watch the parade on Gladstone between Creswell and Gilbert," added McCarty. "You will be toward the beginning of the parade now instead of the very end. For everyone else, I would estimate the parade will arrive about 30-45 minutes later than usual." K of H parade rolls at 2 pm. On a related note: Krewe of Highland Masquerade Bal is Friday, Feb 8, at the Randall T Moore Mansion, Fairfield Ave. Tickets are $40. They can be purchased through Captains, royalty or at Marilynn's Place on Fern Avenue in Shreveport. The program is expected to run approximately one hour without intermission. It is free and open to the public, with general admission seating. 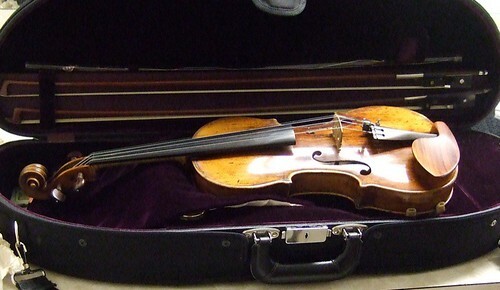 www.shreveportsymphony.com or call 318-227-TUNE (8863). 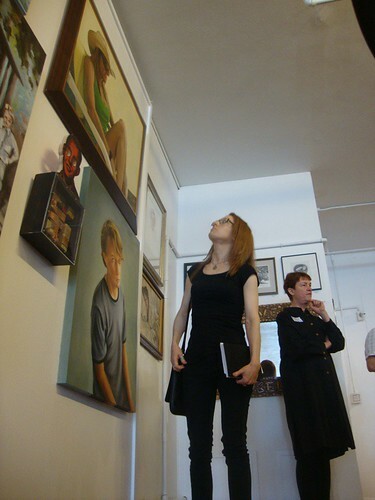 Critical Mass is an invitational group exhibition for all Visual Artists and Artist Teams who live in Caddo, Bossier, Webster, Lincoln, Claiborne, Desoto, Red River, Natchitoches, Bienville and Sabine parishes, says Pam Atchison. For the purposes of this exhibition, SRAC defines an artist as a person who is listed on the NWLA Artist Directory at the time of submission. Pertinent items selected from the invitation . . .
- Exhibit displayed in Coolspace. - Works must either be wall-hangable or viewable on a TV screen. artspace on Fri, Feb 22 from 10:00 am – 6:00 pm. 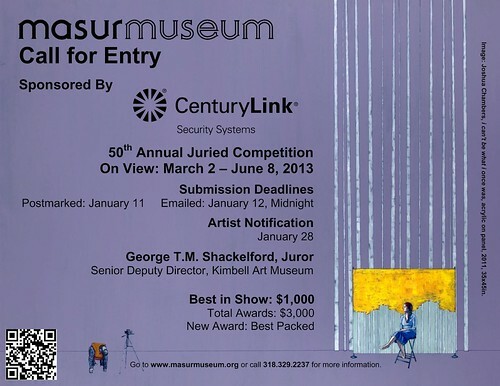 - $2000 Best of Show, up to 3 Critic's Awards @ $500 each. - Curator is California critic Robert Pincus, PhD. He was juror for the Impromptu Show; Critical Mass is a follow-up to Impromptu. Guidelines will be posted at shrevearts.org, Call to Artists, next week. NWLa Directory artists were sent the call in an email. 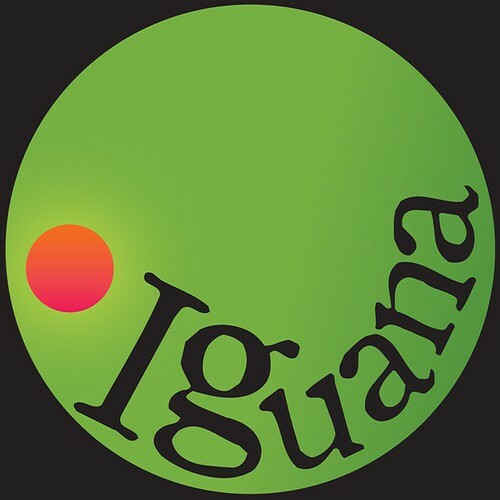 Iguana color, a photo by trudeau on Flickr. At River City Rep, the Night of the Iguana cast claims the flu has devastated the acting company. The opening has been moved to Thurs, Jan 31, at EastBank Theatre at 7:30. Additional performances will be February 1, 2 at 7:30 pm and February 3 at 3:00 pm. Those who currently are holding tickets please contact the RCRT Box Office at 318-868-5888. Featured in the cast are Phillip Jordan Brooks as Shannon, Susan Kirton as Maxine, Janin Pou as Hannah and Richard Folmer as Nonno. Also included in the cast are Peggy Byers, Mary Morgan Anglin, Shawn Dion, Leonard Yoakum and Adrian Gallegos. Directed by Patric McWilliams. 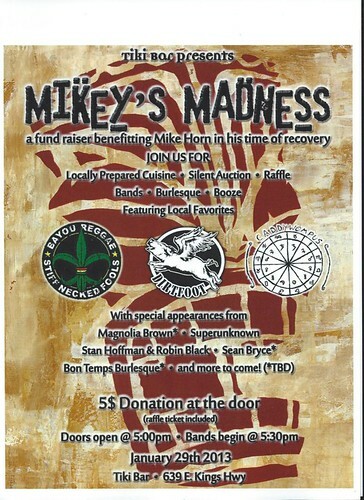 Benefit for Mike Horn, Tiki Bar mixologist, a photo by trudeau on Flickr. The dimly lit home-away-from-home bar, the Tiki, will come alive from 5 p.m. until 2 a.m. Tues, Jan. 29, to raise donations for one of the best local mixologists, Michael (Mike) Horn. See locally prepared cuisine, a silent auction, raffles, burlesque and great music. Mike’s life-changing injury came after a short time out on New Year’s Eve. While walking to his car, he fell into a 6-foot, unmarked city hole—knocking him out instantly and breaking his hip in two places, says Christine Bradley. Two plates, six screws, 127 stiches and staples were put into his hip after a lengthy surgery at LSU Health Shreveport. It will take a year for Mike to recover. Not able to put any weight on his legs for six months, he will have to relearn how to walk. Unable to work during his recovery, his “phamily” at the Tiki bar is dedicating 100 percent of the proceeds to Mike. Questions or more information about the event: Tiki at (318) 868-6355. Grambling State University, Dunbar Gallery: exhibit reception Th, Jan 31, a photo by trudeau on Flickr. The Lincoln image in the center is by mixed media artist Rodrecas Davis. His work will be presented in an exhibit entitled "Idle Warship" at Meadows Museum, Shreveport, on Feb 24. More on Davis at shrevearts.org/artists. Featuring bass vocalist, Horace English and oboist, Theresa Zale Bridges in a performance of Bach: Cantata No. 82 "Ich habe genug". Research has shown that certain pieces of music are more popular and mainstream due to their ‘mathematical’ structure. Young children provided with instrumental instruction score significantly higher on tasks measuring spatial-temporal cognition, hand-eye coordination and arithmetic.Part of this is due to the amount of overlap between music skills and math skills. For the first time locally, Musicology International addresses this concept that focuses on the benefits of a diverse education which has proven results in raising intelligence and learner test scores in students. The mission of Musicology International is the educate, train, and develop students to excel in music as a form of catalyst. Sereca Henderson, President of Musicology International, is noted for her trademarked curriculum, Pianomatic (TM) for Musicology International. 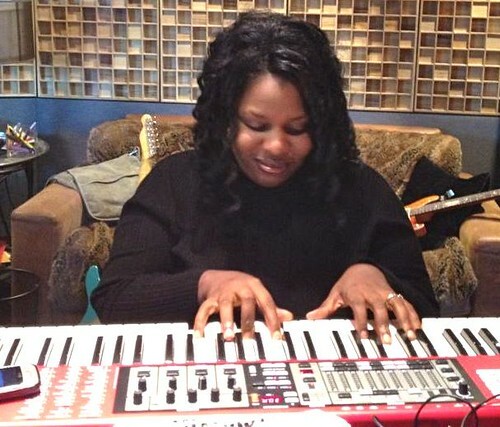 She has credits such as organ on Eric Clapton's, "Diamonds Made From Rain" Fallen Shadows, the video game, vocals on Kenny Wayne Shepherd new untitled project (release date for Summer, 2013), numerous projects as a principle contributor of Blade Studios, "Rise of the Guardian" premiere and much, much more! Krewe of Highland Parade, Sun, Feb 10, 2 pm, a photo by trudeau on Flickr. 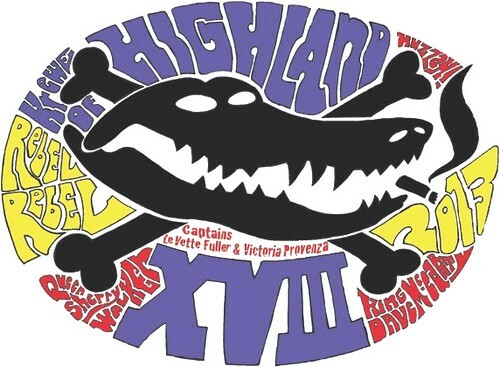 Six days remain to enter your bad self in the 2013 Highland parade, says LeVette Fuller at www.thekreweofhighland.org. That's where you'll also find the forms and fees. And for general info, do not forget the site Restorehighland.org. 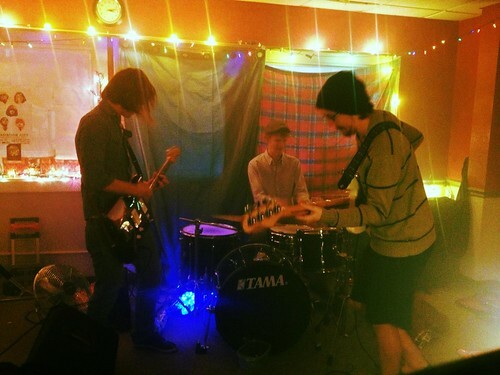 Another year, another batch of local songs to showcase. 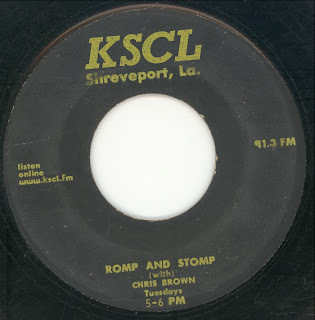 The eighth annual all-Shreveport radio show on Romp and Stomp is scheduled for Tuesday, January 8, 2013, from 5:00 to 6:00 pm. Tune in to KSCL 91.3 FM or listen live online at www.kscl.fm. You’ll hear songs by Shreveporters, songs about Shreveport, songs recorded in Shreveport, and songs released on Shreveport record labels. Featured musicians include: Buddy Woods with the Wampus Cats, Odis Echols and his Melody Boys, Jackson Gospel Singers, Lucky Clark, Arnie Carver, Little Duck and the Quackers, Barbara Flowers Joy, and more. "If you are shopping for a high school, consider the programs and student life at Caddo Magnet HS," says PTSA pres Amanda Bertrand. 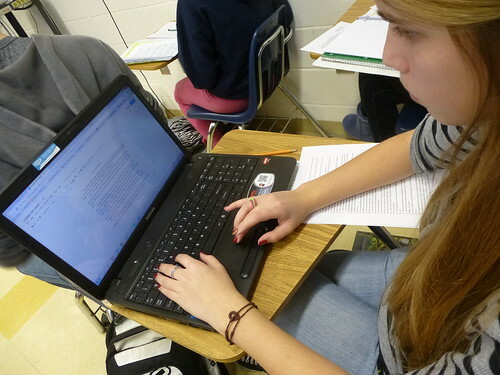 Meet students and teachers at the CMHS Open House on Sun, Jan 13, 2 pm to 4 pm. Also, the Freshman Talent Show is Fri, Jan 11, 6:30 to 8 pm. All 8th graders are invited to see the show compliments of Magnet Class of 2016. The performances - it's an informal show - will be in the Magnet PAC. 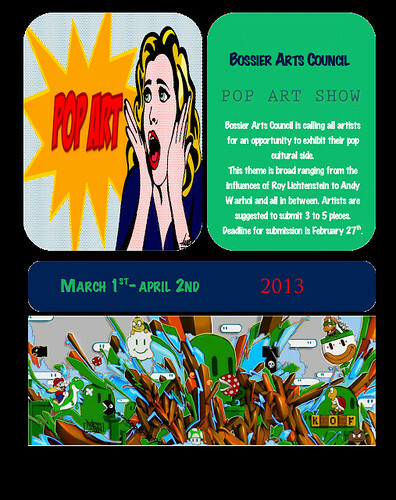 Pop Art Exhibit deadline Feb 27, Bossier Arts Council, a photo by trudeau on Flickr. The American Wilderness played Jan 4 at the Naked Bean, Shreveport, a photo by trudeau on Flickr. The American Wilderness players are Daniel Ainsworth, bassist, Reily Cook, guitar/vocals and Zak Strezo, drummer. Naked Bean's new location, says Pamela Hairston, is 451 King's Hwy. Next door to the Chevron at the corner of Kings and Highland. LSUS Black Box Theater, a photo by trudeau on Flickr. Dog Sees God was written by Bert V. Royal, produced by White Light Productions, and is being directed by Nate Wasson. 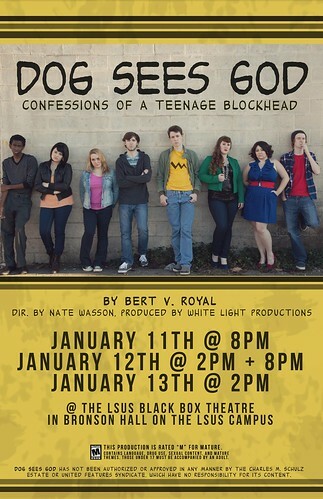 An "unauthorized parody," the play imagines characters from the popular comic strip Peanuts as teenagers. Drug use, suicide, eating disorders, teen violence, rebellion, sexual relations and identity are among the issues covered in this darkly funny and poignant drama. sereca, a photo by trudeau on Flickr. "Musicology International is now registering for the following: piano, organ, voice, music theory, songwriter's, music history, skyped lessons, private/group," says Sereca Robinson Henderson. Henderson, founder of Musicology Intl, has a Masters degree in education from La Tech and is working on a PhD. She is music director for Zion Baptist Church of Shreveport under pastor Rev Brady Blade, Sr. In addition to being a first-call player in Blade Studio recordings and live music (Brady Blade and Friends), she has a credit for playing keyboard on an Eric Clapton album. "Call for registration!" says Henderson. "We're at 610 Commerce, Downtown Shreveport, (318) 459-8211." 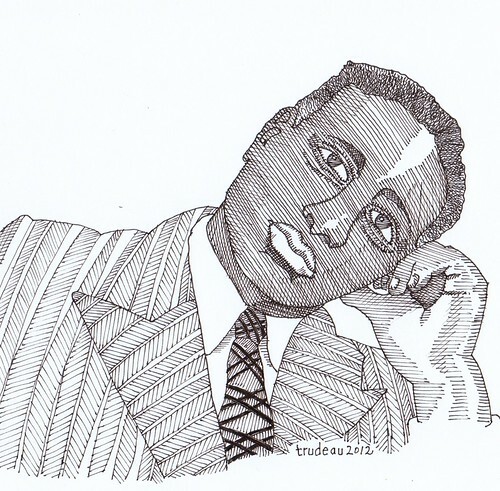 Huddie Lead Belly Ledbetter, 1889 - 1949, a photo by trudeau on Flickr. In a Wall St Journal interview Lorraine Gordon, longtime owner of the Village Vanguard jazz and folk club, recalls that one of the first occasions she was legally allowed to hear a set all the way through at the Vanguard was when she was 17 and Leadbelly was performing. "Oh my, I was so crazy about Leadbelly. I sat right back there," she says, indicating a table near the back of the room, "and Leadbelly came and sat with me. I wanted to draw him. My God. That fantastic head, that face, that white hair, those cheekbones. At that time I was trying to be an artist. I had art ambitions because I could draw. I sat there at that table with him; I probably just stared at him." masurmuseum.org, a photo by trudeau on Flickr. 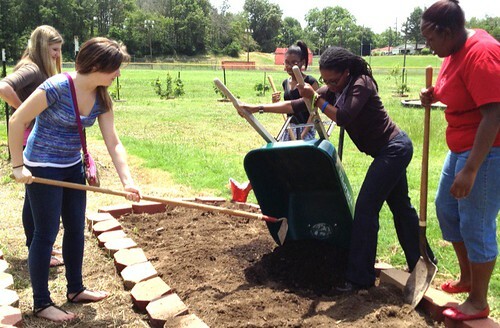 Caddo Magnet HS students / Valencia Communty Garden / photo Keri Stevenson, a photo by trudeau on Flickr. Shreveport Public Assembly & Recreation Valencia Community Center Manager Shalon E. Lewis recently received the City of Shreveport Spirit of the City Award in recognition of quality work and exceptional customer service, says The Times. Lewis has been employed at SPAR for seven years. She received an associate degree in health and human services from Southern University in Shreveport and a bachelor's degree in business management from Wiley College. Lewis has been instrumental in the Valencia Community Garden Project and very helpful in working with Caddo Magnet HS students in a pilot peanut patch, said teacher Robert Trudeau.